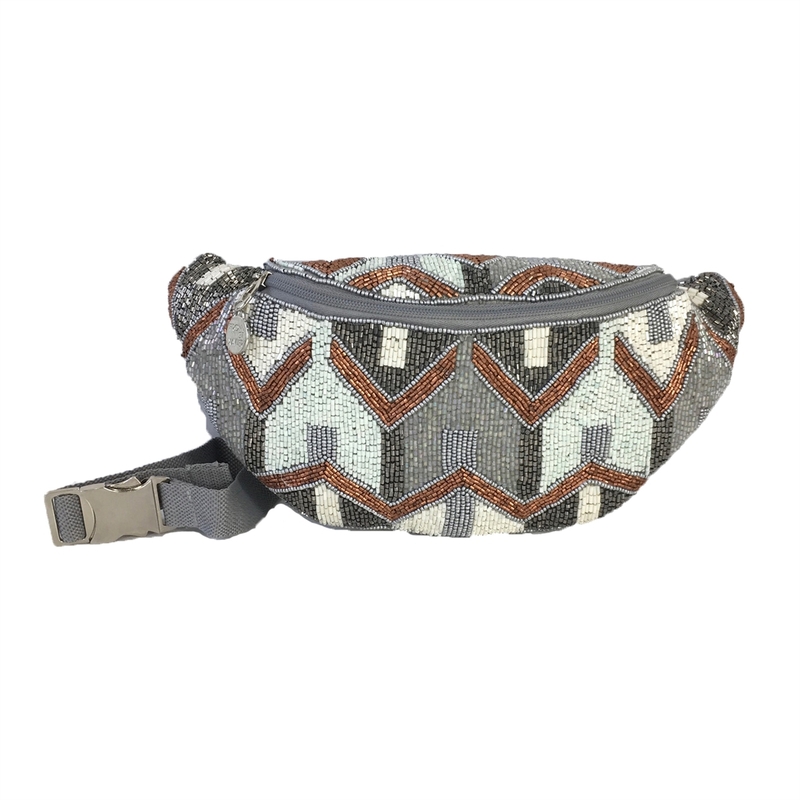 The perfect waist bag for the festival season.. This hand beaded beauty fastens comfortably around your waist to keep your hands free, making this design as practical as it is playful. 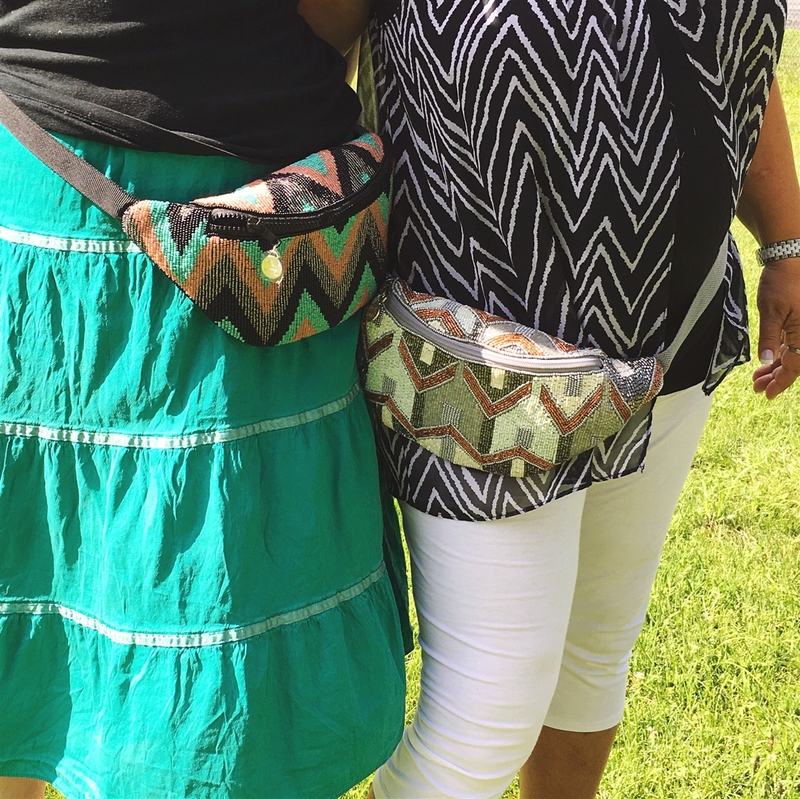 Waist pack fanny bag with a beaded design. 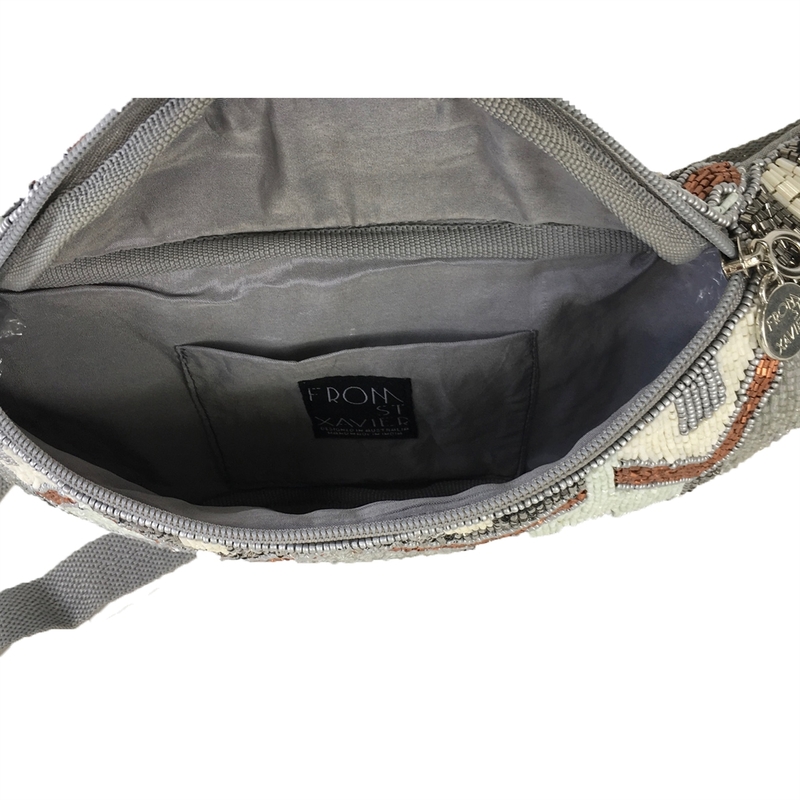 Front zip compartment with interior slip pocket. 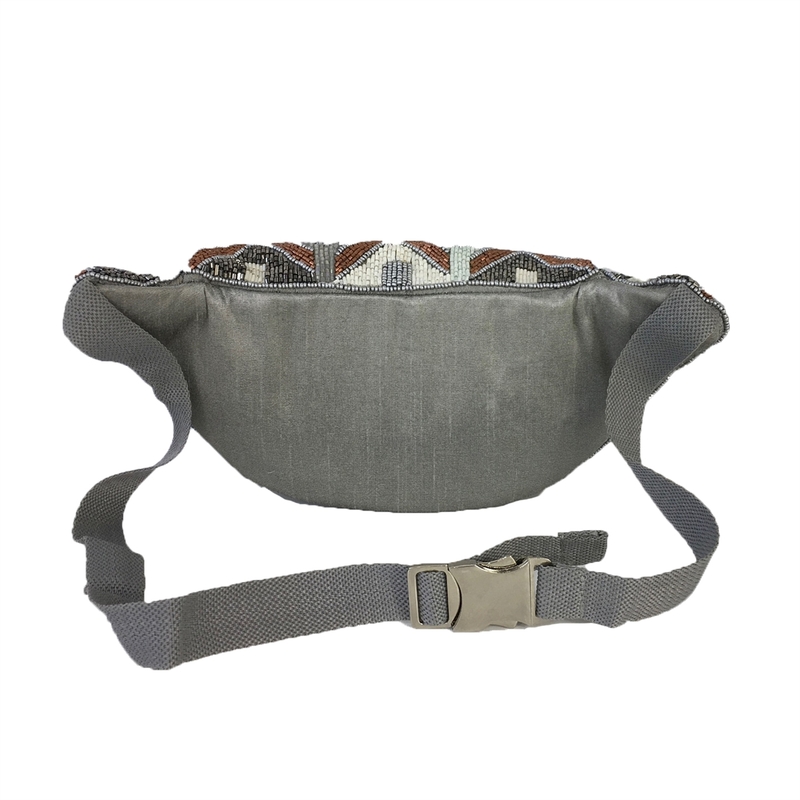 Adjustable waist strap with buckle closure. The handcrafted process means that each From St Xavier piece has unique characteristics and will differ slightly in appearance, making it a one of a kind collectable.